Lighting Collection Supermarket is a brand chain agency that sells lighting products. The company now has 100+ employees and its headquarters has an office area of 1,000 m2. 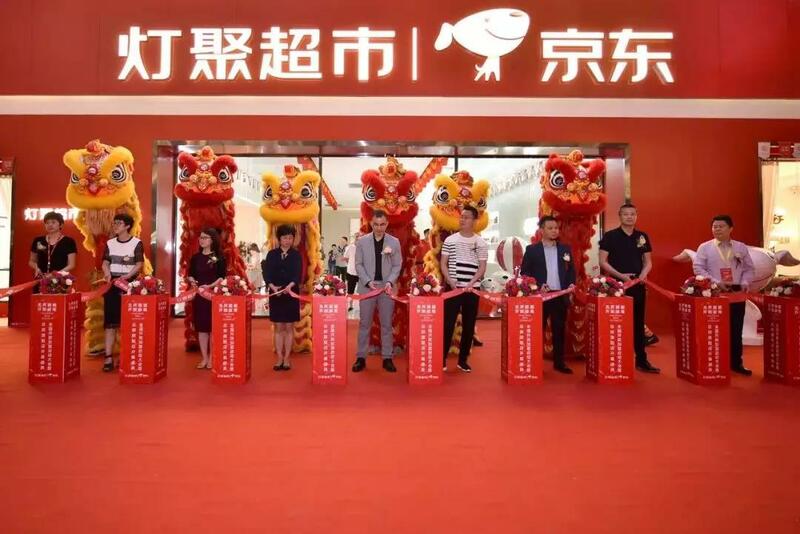 In February 2017, it reached a cooperation with JD Home Building Materials to explore the innovative retail channel model of lighting industry under the concept of "Unbounded Retail". 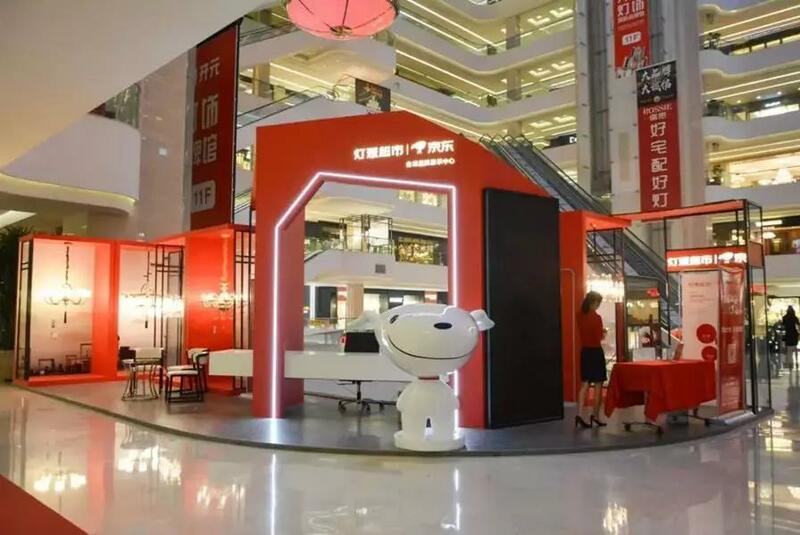 It integrates online shopping, offline experience and intelligent logistics, conducting transactions by leading its offline experience hall orders to JD.COM platform store, building a new model of online and offline channel integration. Reporter: What’s the background of the establishment of Lighting Collection Supermarket and why is it located in Guzhen town? Dong:Under the trend of online and offline integration, the supermarketcame into being. We hope to create a new model of “JD.COM flagship store + offline experience hall” to achieve seamless online and offline docking. We put the headquarters in Guzhen because of its regional advantages. As the original source of lightings, Guzhen has benefited from the government's long-term policy guidance and support. And it has gathered a large number of lighting manufacturers, accounting for 70% of the country's sales. Reporter: Compared with traditional retail stores, what are the characteristics of the offline stores of Lighting Collection Supermarket? Dong:Take our first and biggest direct-sale store at Star Alliance for an example,the main features of our offline store are online and offline integration and strong logistics system support. Reporter: Compared with other platforms, what are the advantages of Lighting Collection Supermarket? “Saving”, save worry, save time, save money. Reporter: In light of the increasingly younger consumer groups, how will the Lighting Collection Supermarket cater to this trend? Dong:On the one hand, we will start from the aspects of consumer psychology and product categories,priority is given to personalized, eye-catching, and high quality products. On the other hand, we provide experiential scene services, add more creative experience and elements of interactive experience. Specifically, we give each of our products a temperature, a story, and a feeling. In terms of physical store layout, we will create a socialized place for new experiences through a diversified product portfolio. Reporter:What are the plans for the Lighting Collection Supermarket in terms of offline layout? Dong:Offline layout is the strategic focus of the supermarket. In the outlet mode, we adopt the two modes of “direct-sale stores” and “franchised outlets”.The supermarket creates different types of stores for different regional markets, and creates featured stores with “selected quality products”. In the expansion of outlets, we launched the “10,000 stores in 100 cities” channel expansion plan in June this year. The goal is to find franchisees with common values across the country, and arrange 10,000 stores in 100 core cities across the country. Reporter:What do you think of China (Guzhen) International Lighting Fair? What are your expectations for the fair this year? 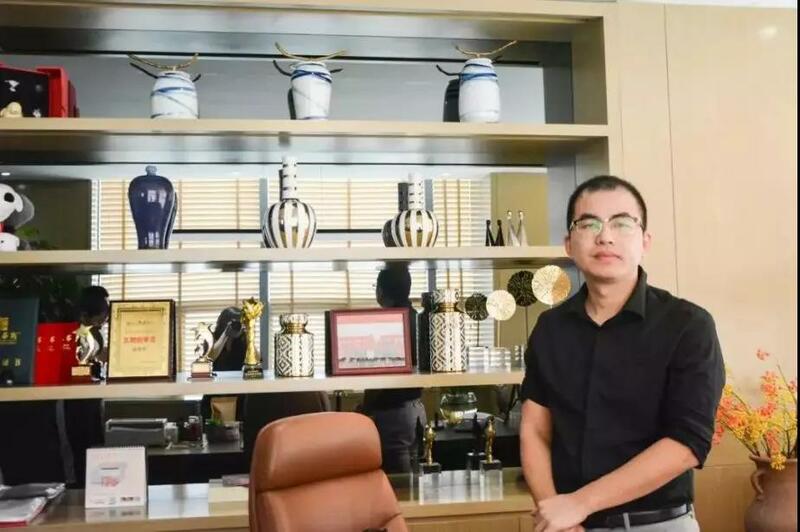 Dong:It is an annual event for the lighting industry and a good communication platform with many business opportunities, through which we hope to communicate with more business friends and better promote our new model.